St. Andrew's Stone Church, located in the middle of the beautiful Caledon Hills north of Toronto. The congregation of St. Andrew's was in existence even before the church itself was built. 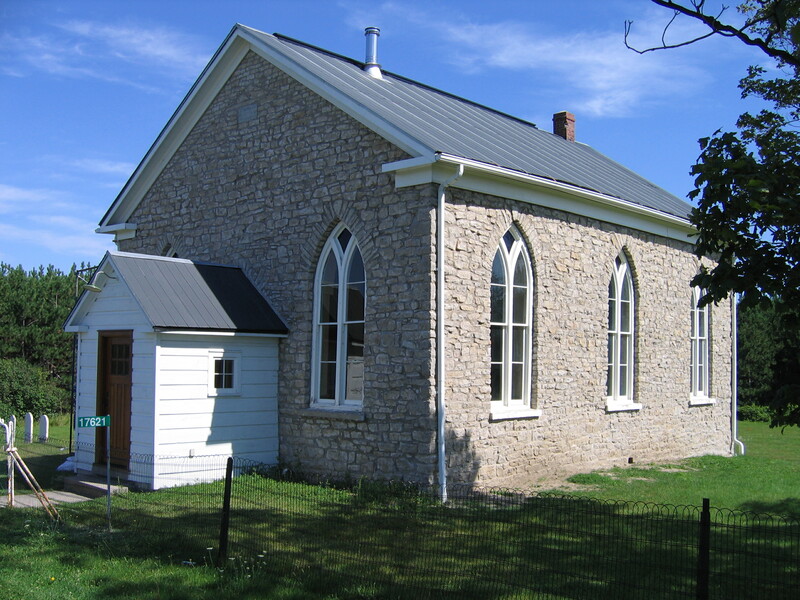 The congregation began in the late 1820s by meeting in Allen McKinnon’s barn, on what is now known as St. Andrew's Road, between Charleston Sideroad and Escarpment Sideroad in Caledon, Ontario. When McKinnon and his wife donated a one-acre piece of property to the Presbyterian Church, a small log structure was built. Finally, in 1853, the congregation built the charming one-room fieldstone church we see still standing today.